SERIE A03 and SERIE SPC/SPR are two lines of indoor intrusion detection detectors dedicated to the protection of houses, offices, shops and industrial buildings. They are composed of a wide range of seismic sensors which, according to the model, are installed on windows and doors, gratings, walls, ceilings, safes or other structures and apparatus. The sensors are featured by a piezoceramic transducer which perceives the vibrations and the shocks the structure undergoes when an intrusion attempt is occurring. In SERIE A03 line, the electronics is separated from the sensor and is situated inside special processing boards, while in SERIE SPC/SPR the analysis unit is integrated in the sensor. Each sensor model is dedicated to specific applications, where it provides the highest performance. The sensors can detect even the lightest shocks. The models dedicated to applications requiring very high shock sensitivity, such as the protection of doors, windows and walls, are provided with piezodynamic technology. The processing boards analyse the signals received by the sensors in a very accurate way, discriminating the different types of attack to the protected structure. 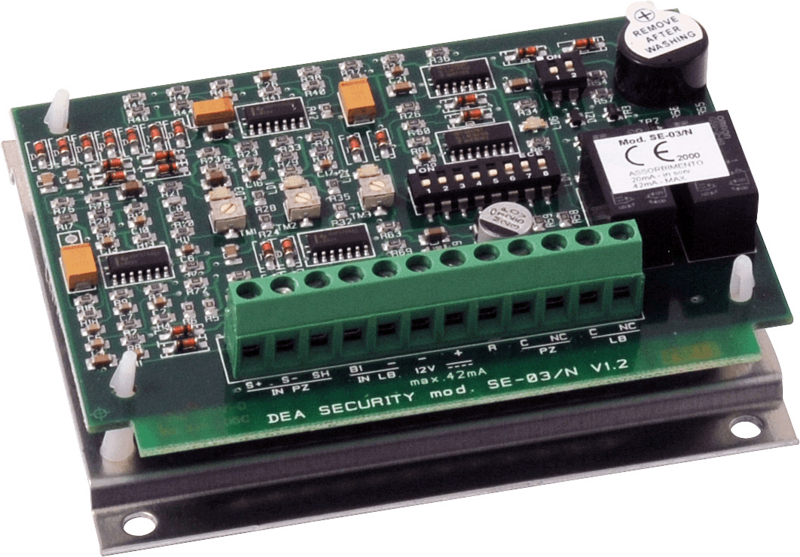 All the detectors and processing boards are designed, produced and assembled at DEA Security’s factory in Italy, using components and materials selected according to very strict specifications. Each single product is also subject to accurate tests. 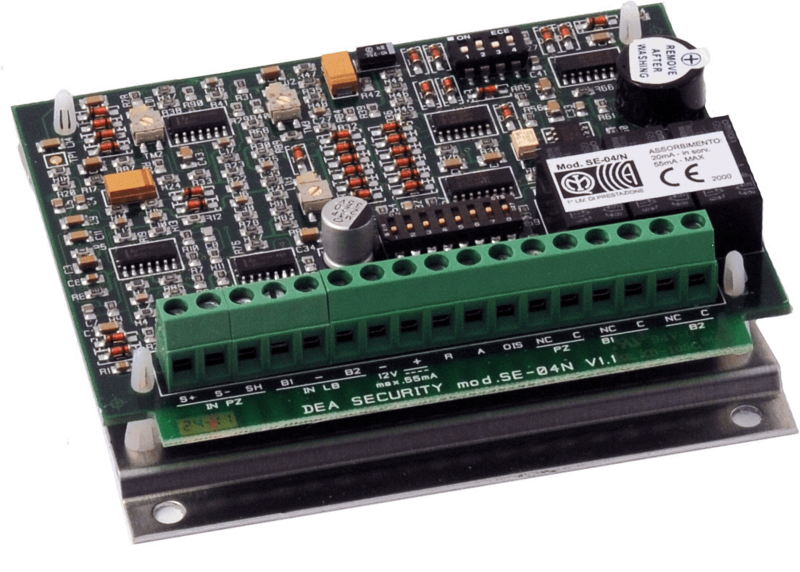 SERIE A03 is an indoor intrusion detection system composed of seismic sensors and electronic processing boards. It is employed for the protection of doors, windows, glass surfaces, skylights, security bars and grates, walls, ceilings and safes against shock, breakthrough and opening. To be installed on window and door frames, one sensor can protect the whole structure, including the glass, against shock and breakthrough events. 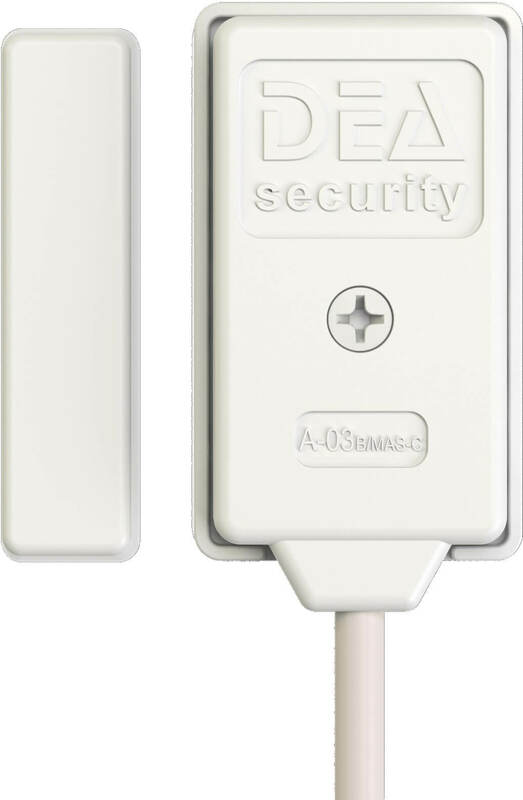 A03B/MAS-C sensor has the same features as A03B/AS model, but it is also provided with magnetic contact for the protection of the structure against opening. Suitable for the protection of glazed surfaces, such as shop windows, it detects the break of the glass and its drilling with diamond core bits. Very easy and quick to install, the sensor can be fixed to the glass by means of the double-sided tape supplied with it. It protects window and door grates, window guards and security bars against shock and breakthrough. Designed for outdoor applications, the sensor is equipped with a metal housing and the relevant connection cable is protected by flexible metal sheath. Suitable for the protection of walls and other structures – such as safes and reinforced cabinets – which require very high detection capability. 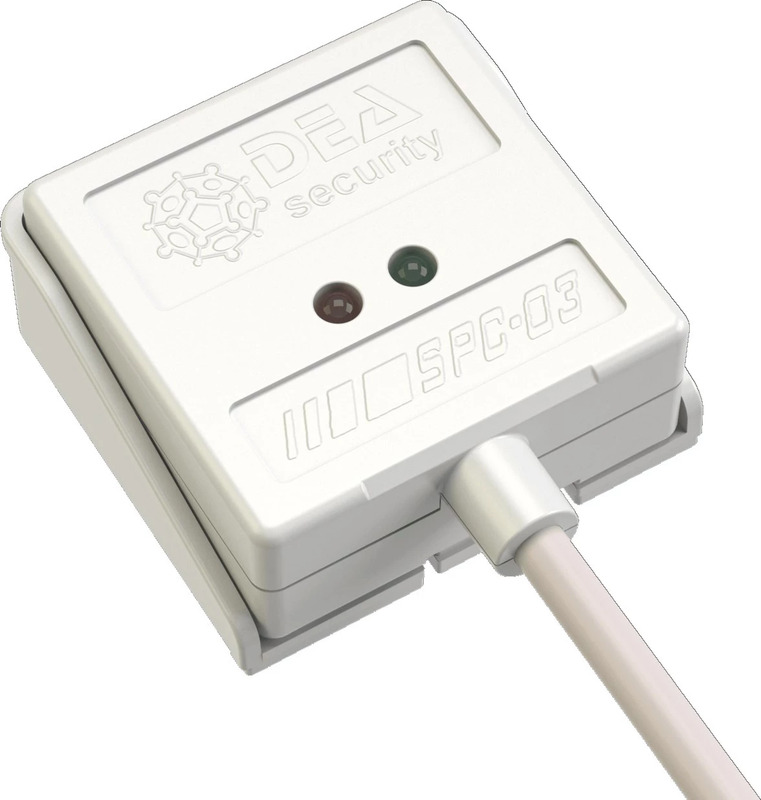 It can be connected to all SERIE A03 sensors and can discriminate the signals produced by three different types of attack against the structure: shock (repeated light shocks), breakthrough (single strong shock), drilling with diamond core bit or other electric device (continuous vibrations). Three trimmers allow you to regulate the detection capability for each type of signal, while the features of the board (event count, reset time, buzzer and thermal expansion filter) are programmed through two dip switches. Same analysis capability and technical features as SE04/N, but provided with one balanced line and no thermal expansion filter. This board can be connected to A03, A03GR, A03AS and A03B/AS sensors. Analog processing board provided with an NC tamper line and two trimmers to regulate the detection capability and the event count. A typical application is the protection of safes, CCTV cabinets, alarm control panels, external sirens and video camera cases. SERIE SPC/SPR is a line of seismic sensors for the protection of windows, doors and glazed surfaces against shock, breakthrough and opening. Evolution of the proven SERIE A03 detectors and processing boards, SPC/SPR sensors do not need any separate electronics since they are provided with built-in analyser. Such feature enables you to calibrate and program each sensor individually and to identify the point under alarm. Piezodynamic sensor capable of detecting shock, breakthrough and drilling. 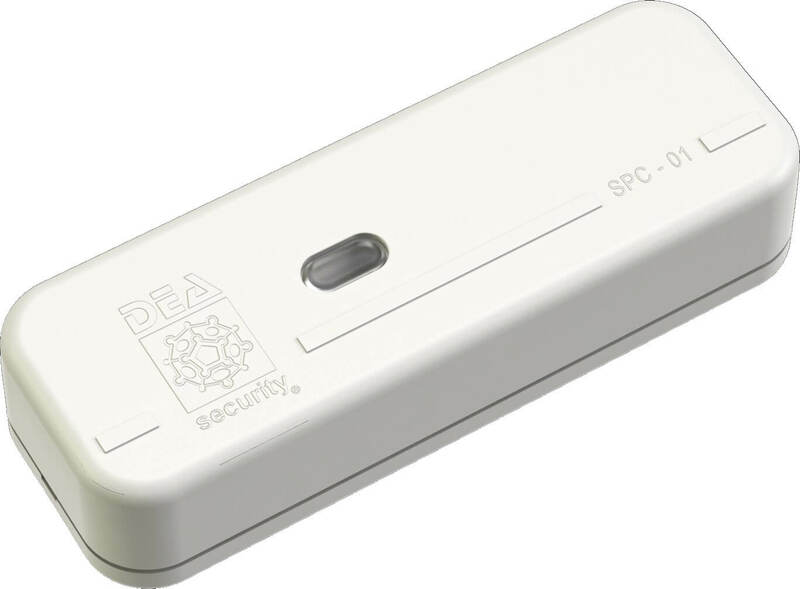 SPC01 also detects magnetic tamper, opening of the housing and removal of the sensor, recording all the alarm signals in an internal memory. The sensitivity levels can be calibrated via trimmer while the detector features – event count, reset time and thermal expansion filter – can be configured through a dip switch. SPC01M version includes a magnetic contact to signal the opening of the structure. 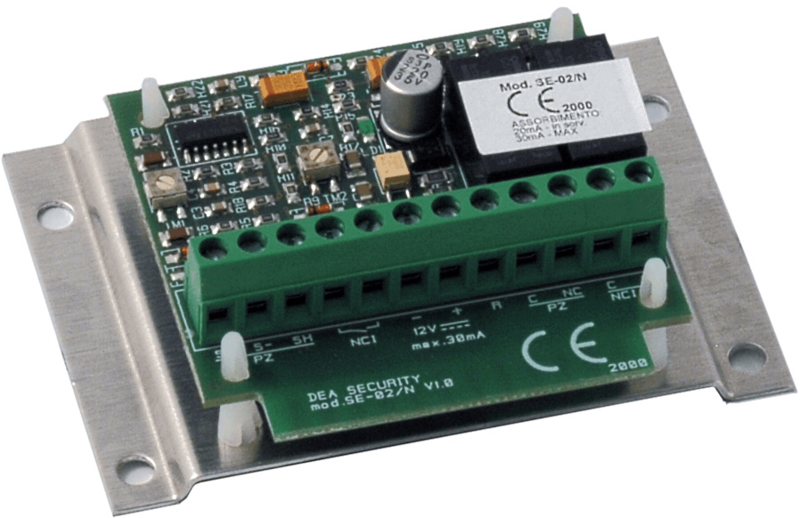 SPC02 is provided with the same technology as SPC01 model, but the piezodynamic transducer is combined with an analog circuit which integrates the alarm memory feature. The sensor detects shock, breakthrough and opening of the housing. The sensitivity and the event counting can be adjusted using analog trimmers: the adjustment is eased by three LEDs which signal alarm, alarm memory and detected shocks. SPC02M version includes a magnetic contact to signal the opening of the structure. Provided with a piezoceramic transducer, alarm memory and antiremoval device, SPC03 is the most reliable seismic sensor for glass break protection. Thanks to its digital sensitivity adjustment on four levels, this sensor can be applied on different types of glass, including multi-layer and reinforced glass. Very easy and quick to install, the sensor is mounted to the glass by means of the double-sided tape supplied with it. The intentional or accidental detachment of the sensor from the glass is immediately detected as tamper alarm. In SPC03 model the alarm is restored by switching the power supply off, whilst in SPC03E model the recovery is automatic. 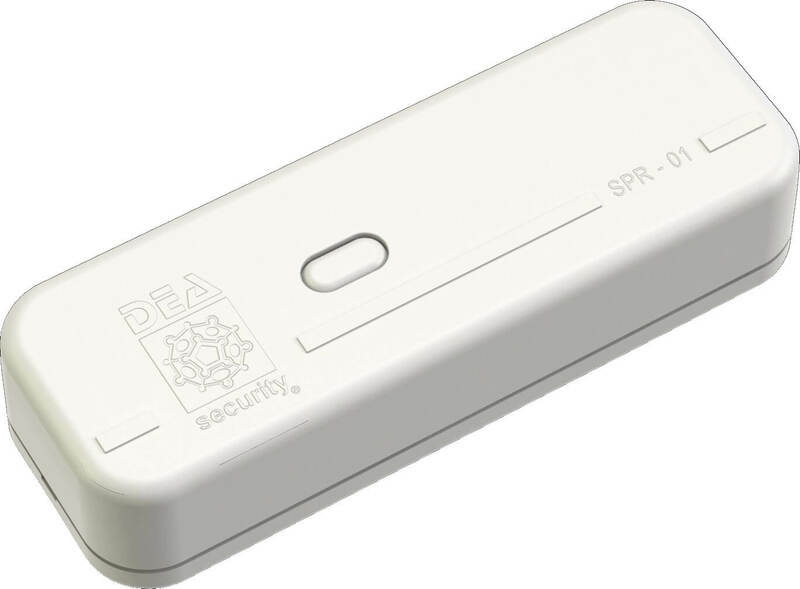 SPR01 is a seismic sensor which matches DEA Security’s piezodynamic technology with wireless intrusion detection systems. Powered by two lithium batteries, which provide it with a long operation life, this sensor has been specifically designed for being combined with a radio transmitter: it is ideal for integration into wireless intrusion systems. The sensitivity can be adjusted via trimmer and the event counting can be programmed through a dip switch. Two status LEDs, one for the alarm occurred and the other for shock detection, can be deactivated to maximize the duration of the batteries. SPR01M version includes a magnetic contact to signal the opening of the structure.